Landlocked Armenia, located in Asia Minor at the crossroads between Europe, Asia and the Middle East, is a remarkable but sometimes overlooked country that should be on your travel wish list. Blessed with breathtaking landscapes and littered with ancient monasteries and historical sites; it's easy to see how this small country captures the hearts of its visitors. Armenia's landscapes offers never ending beauty. You can find everything from deserts to woodlands to alpine zones, with diverse geography including high mountain peaks and lush valleys, striking rock formations and scenic canyons, rapids, rivers, waterfalls and mineral springs. And with over 4,000 historical monuments scattered throughout the scenic countryside, Armenia is often referred to as an open air museum. 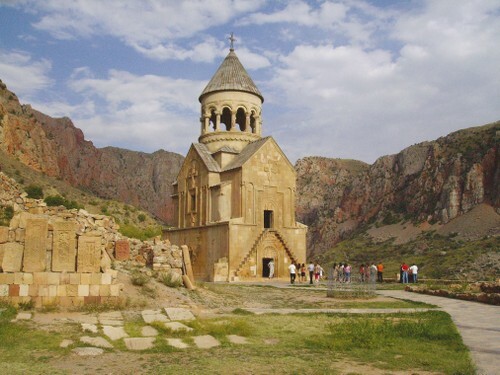 Journey through Armenia's lush rolling valleys; trek the mountains of the Lesser Caucasus; and follow the course of the gorgeous Debed River to see stone villages, medieval Christian art and the World Heritage Listed monasteries of Sanahin and Haghpat. Marvel at the incredible ruins of Ani, the former capital of the Armenian kingdom; sample local wines in Arneli village, Armenia's wine capital; and soak up the ambiance of Dilijan, a resort town set deep in the forests of Dilijan National Park. 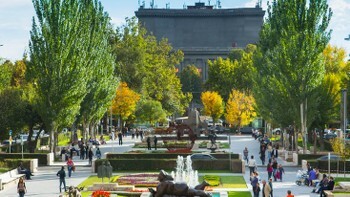 Stroll the tree-lined boulevards of Yerevan, enjoying the museums, monuments and high fashions of Armenia's charming capital; and visit the city's fascinating Manuscript Museum, one of the world's largest collections of ancient documents. Join us as we cross into beautiful Armenia on our Iran to Istanbul via Georgia and Armenia departure! 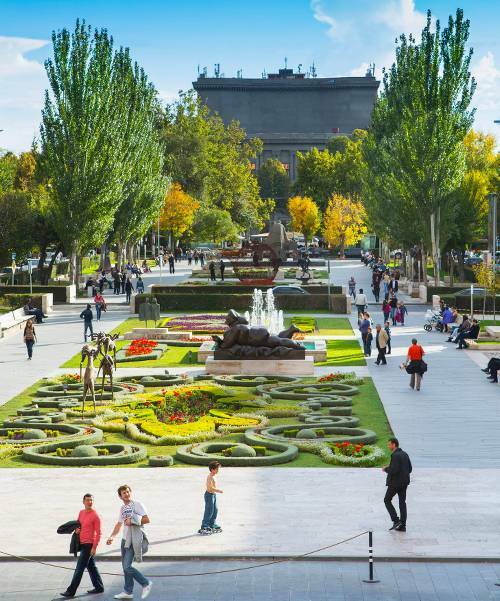 Enjoy this quaint capital city's cafes, parks, elegant squares and boulevards. 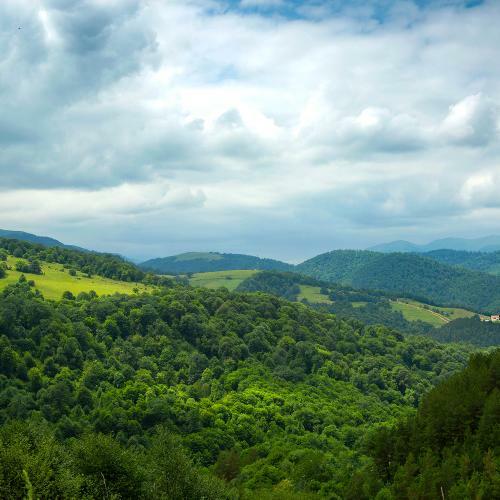 This picturesque "Armenian Switzerland" is located in the midst of the forested valleys and alpine meadows of Dilijan National Park. 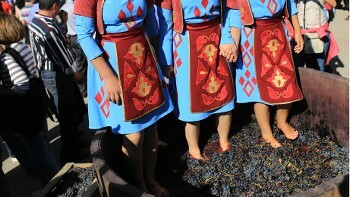 Visit a family-owned winery to sample the local grape in the wine capital of Armenia. Journey through beautiful rolling valleys framed by the Lesser Caucasus mountains. 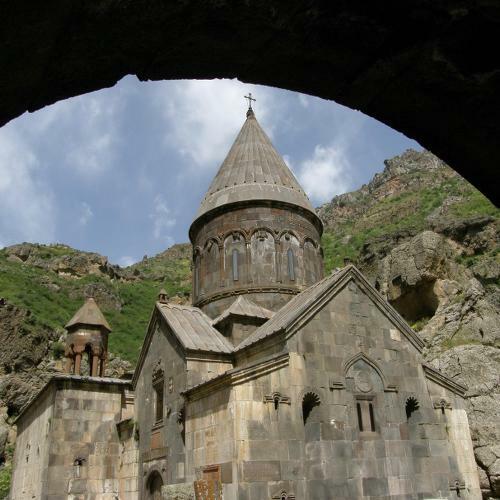 Take in the world heritage listed monasteries of Sanahin and Haghpat and medieval Christian Armenian art. Nothing in Europe could rival this former capital of the Armenian kingdom in terms of its size or magnificence. Our Armenia adventures are great value for money featuring quality, boutique accommodation and private, air conditioned transport. We also include all site entry fees, allowing you to simply soak in the essence of Armenia without having to worry about taking large sums of money with you. A land of rugged mountains and extinct volcanoes, Armenia has proudly maintained its ancient identity throughout its colourful and tragic history. 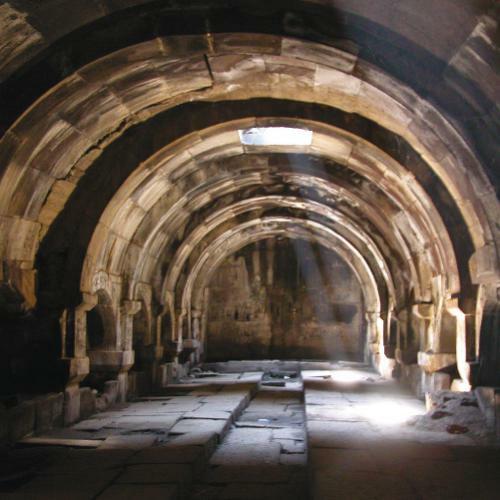 Our adventures provide genuine insight to the culture as we explore its many museums, ancient buildings and monuments in the capital city of Yerevan. Our local Armenia team will assist you with all border crossings, meal recommendations and shopping tips as they provide expert commentary about their country's history, traditions and society. Their welcoming nature and eagerness to share their country with you ensure that your trip is memorable. 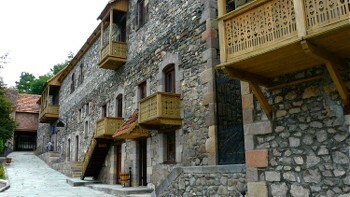 Most of Armenia experiences a continental climate due to its high elevation, with hot summers and cold winters. The higher elevations receive more precipitation and are cooler. Summer; June, July and August is the most popular season for travellers, but spring; March, April May and autumn; September, October and November are the best time of year to travel in Armenia with milder temperatures. The summer is generally pleasant reaching 25°C, though in the Ararat valley temperatures can climb to 40°C. Winters: December, January and February can be quite cold with temperatures falling to -5°C in Yerevan, and colder in the Ararat Valley (-30°C) and the Lake Arpi area (-46°C). Annual precipitation for the country as a whole average is 550 mm. The official currency of Armenia is the Dram (AMD), which is divided into 100 lumas. Foreign currency can be exchanged at banks, the airport as well as many hotels, with US dollars and EURO the most widely recognised and easily changed. Although, notes should be in good condition without tears. Credit cards are not widely accepted other than in some large hotels and restaurants. It is advisable to carry plenty of small change in local currency as shops and markets will often not have change. Electricity in Armenia is 230 Volts, at 50 hertz. The most common pin type is C. (2 round prong). Visas are required for passport holders from the following countries. This visa can be obtained on arrival in Armenia. Please complete the application form provided in your confirmation kit and carry it with you for presentation on arrival in Armenia. UK and US citizens shall be exempt from the visa requirement for travel and are entitled to stay in Armenia without a visa within a period of up to 90 to 180 days per year.